Neha Alice Kerketta is an alumnus of IDC IIT Bombay. She earned Master of Design Degree in Animation Film Design in 2016. She started her design journey from NIFT, New Delhi, where she earned her Bachelor of Design Degree in Fashion Design in 2010. Her move to graphic design eventually led to the making of her first motion-graphic short film made for a Startup. During her master’s course at IDC, she made several films exploring different topics ranging from World heritage sites of India to LGBT life stories. She worked at IDC, IIT Bombay as Design Research Associate on the project ‘ E-Kalpa – Creating a digital learning environment for design funded by the MHRD, Government of India. 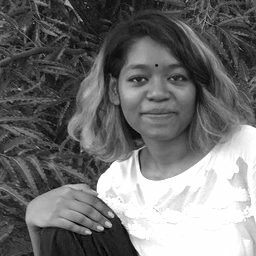 Her projects include a design course in ‘History of Indian Illustration’, ‘Digital representation techniques’ and ‘Sound of the city – information visualisation, Classification of sounds and street audio.’ Apart from these she also taught drawing and visual representation to Bachelor students of Design at IDC IITB.